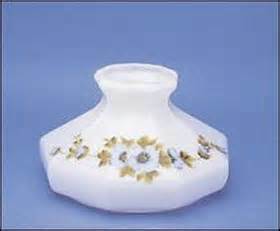 10" Glass Opal White - 9 panel shade. Unique styling adds a touch of flair to any table lamp. 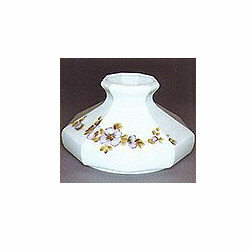 For use with Aladdin 10" under-burner shade rings (sold seperately) or any kerosene or oil lamp with a 10" shade support. www.p65warnings.ca.gov. This shade is a perfect choice for those who love the flowers on Violets or Pansies! The Dogwood flower blossoms are hand-painted in medium to dark blue tones with a touch of green accents. Very dainty roses painted up the shade, in rich red with green accents. 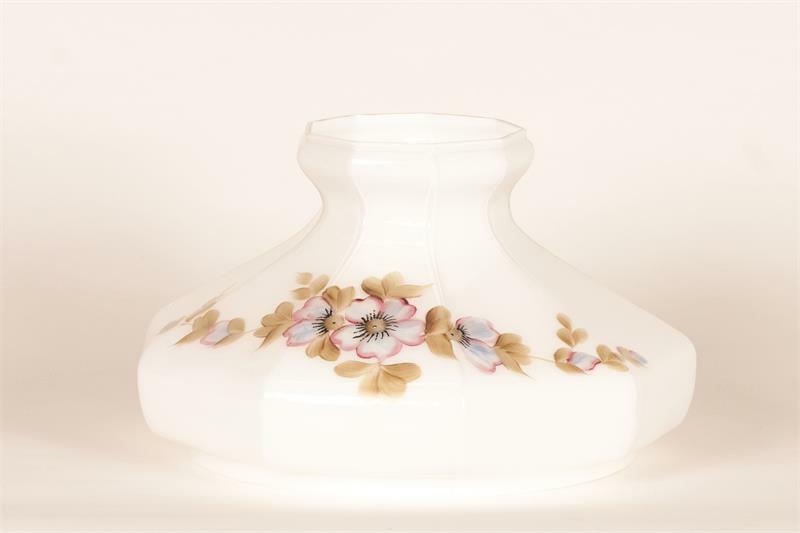 Hand painted floral design on classic Model 12 glass lamp shade.